Reduce the chance of downtime and stress and learn how to handle server migrations without headaches with our server migration checklists planning advice! Migrating from one hosting provider to another can be annoying to say the least. And while it doesn’t always have to be time-consuming, it does mean that you need to take a little time to reinforce your foundations before you keep on building your web presence. Server migration is often misunderstood, and it has a bad reputation. It’s seen as a necessary, yet very annoying inconvenience – like taking out an insurance policy – rather than as a handy tool in the modern webmaster’s arsenal. We’ve worked with over 30,000 customers, and we often see the same fears over and over again. And is there a “right” way to approach server migration? If you’ve been considering migration but you don’t know where to start, this is the right guide for you. Likewise, if you’ve already looked into it and been scared away by the rumours, this is the guide to change your mind. By the end of, you’ll be wondering what all of the fuss was about. The internet is full of stories about botched migrations, and the unfortunate truth is that some of them are true. Both new and experienced webmasters tend to be terrified of server migration, worried that they’ll somehow lose their emails and websites in the process. In many ways, they’re right to be afraid. If your administrator doesn’t know what they’re doing, they can cause more problems than they solve. That’s why the first and most important step is to take a full backup of the server and the database before you start so that if something does go wrong, you’ve got that to fall back on. A server migration is a complex undertaking, and it’s not something that people take lightly. Worse, server migration becomes exponentially more complicated when more and more websites are thrown into the mix. But why do people migrate to a new server in the first place? Why migrate to a new server anyway? Every use case – and every website – is different, which means that there are as many reasons for migrating as there are disgruntled webmasters. 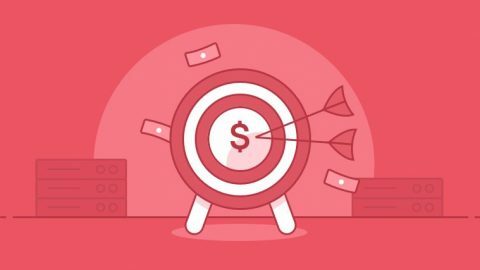 Most people are already working with a third party in the form of their hosting company, and it’s often a dispute with an existing host that pushes people to go out and look for a new one. It’s only human to be worried, especially when you’re facing something as stressful as a server migration. Like we said, the internet is full of horror stories about botched migrations and the impact that they have on unsuspecting businesses, and some of the worry is justified. The most common thing that people are afraid of is the threat of downtime while the migration takes place, but it doesn’t have to happen. Migration can – and should! – be a smooth process, while limiting downtime along the way. Fear that your migration is too “large scale” and will run into business impacting problems. For many websites which are very large and complex, large scale migration concerns naturally come into play. When you’re switching to a new server but hosting dozens (or hundreds) of different websites, it makes things slightly trickier. It’s a common problem for agencies, but it can also happen client-side – especially if you’re hosting different campaign sites or acting as the hosting hub for a global company. Because of the complexities involved with moving such a vast amount of information, large scale migration opens you up to all sorts of issues that you might not otherwise have to worry about. To compound the problem, not all of it is actually due to the migration. For example, starting the progress of moving to a new server could make you realize that your files are in a mess or that they’re poorly documented. Luckily, there are ways and means of dealing with it. The truth is that server migration really does come with its challenges, but there’s nothing you can’t overcome with careful planning. 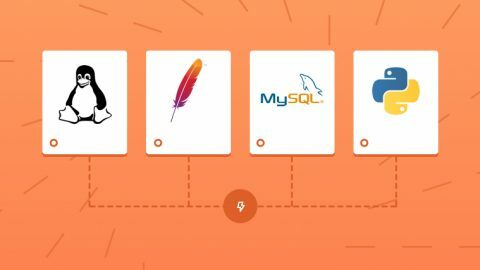 If you want to give yourself the best possible chance of successfully migrating to a new server, you’ll want to make a full server migration plan to map out everything that could possibly go wrong. Once you’ve done that, you’ll need to figure out what to do if that actually happens. Luckily, the benefits of moving to a new server usually outweigh the challenges that you’ll face along the way. Better still, if you partner with a webhost who takes the time to understand your business, they’ll be able to guide you through the process. Administrators have two main options when it comes to moving. If there are no major deadlines for the server migration then moving sites one at a time can offer the most flexible approach. But this does come with its disadvantages, including the fact that it can be so time consuming. This method relies on simply moving sites one at a time, allowing you to phase the migration and to test along the way. You can learn from your mistakes and try not to repeat them, but you’ll also need to stick to the migration protocol and keep accurate records along the way. Remember, the people performing the migration are still likely to end up working on multiple sites at the same time while they wait for client approval, test results and DNS propagation, and this increases the risk of mistakes being made or of steps being skipped accidentally. This option relies on moving everything in one swoop, and it’s a bit like ripping a plaster off. You might spend a couple of days putting out fires, but it saves you the trouble of working on a long, drawn out project to slowly switch servers. This approach is frightening – especially if you’re hosting multiple sites on the same server – and it’s also fraught with danger by its very nature. But despite that, it’s often worth doing – especially if you’re working to a deadline or if you’re under pressure to get the job done. All at once migrations are particularly common if you’re switching server setups but keeping the same provider, because it often allows you to keep the same IP address, reducing delays and forwarding errors at the DNS level. Ultimately, this type of migration is usually riskier than moving sites one at a time, but it can also save time and reduce disruption over a long-term period. By now, you should know why server migration is necessary and what types of approach you can take once you’re ready to get stuck in. Now you’re ready to get started, which is why we’re sharing our three-step approach to server migration. When it comes to web hosting, there’s no such thing as a “one size fits all” approach. Every single site has unique requirements. That’s why you should work closely with your new webhost to identify potential issues. What kind of content are you hosting? Do you use a CMS (e.g. 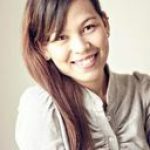 WordPress, Joomla), static content (such as HTML and images) or something else? 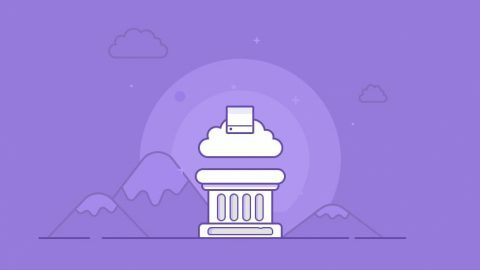 Will your emails be hosted on the same server? How much traffic are you expecting to receive? What level of resources does your current server consume (in terms of CPU, RAM, MySQL queries, etc.)? Do you need a control panel (such as cPanel or Plesk) to manage your services? Are you running any custom scripts or software? What software versions are you running? You can start to migrate your websites just as soon as your new hosting plan is in place. Many hosts can offer panel-to-panel migrations for both cPanel and Plesk, which can take away a lot of the hassle by making sure that you’re familiar with your new setup. Some hosts can even carry out cross-panel migrations, such as from Plesk to cPanel, although this often incurs an extra fee because of the manpower needed. On top of that, it’s not always perfect – we’d caution against it unless it’s absolutely necessary. Most migrations start out with a full backup, just in case something goes wrong. A lot of people will lie and tell you that there are only two steps to migration. We can see the appeal – it’s easy to think that once you’ve copied the files over, you’re good to go. Some webhosts will simply copy the files, mark your ticket as “done”, take the money and run. This is one of the common themes of the horror stories that you’ll see across the net, but it isn’t a fair representation of hosting as a whole. The best webhosts want to make sure that everything is working properly. You can try to test it yourself, but it’s not recommended unless you’ve got the expertise to do it properly. Still, if you’re brave enough to give it a go, have no fear. We’re happy to help out, which is why we’re sharing some of the server migration checklists that we use when working with our clients. Check your site for 404 errors, 500 errors, PHP warnings, etc. Were all of the issues addressed during migration? Was the migration painless? If not, what went wrong? Are you happy with your new server? What else (if anything) needs doing? Almost done. Lets talk about DNS. It’s time – your files have been migrated and you’re all set up and ready to go on your new server. Now it’s time to update your DNS to point users towards the data and files on your new server. Remember that DNS updates can take 24-48 hours to fully propagate across the globe, although many European and North American areas take mere minutes or hours. But ultimately, a short delay is a small price to pay for a stronger server. No setup lasts forever and so server migrations are inevitable eventually – if your business is strong enough to survive the test of time. Server migration doesn’t need to cause a headache, although there are plenty of potholes in store if you don’t know what you’re doing. That’s why you need to weigh up the pros and cons and to make an informed decision before you make a commitment. Speaking of commitments, the best webhosts will be more than happy to invest some time up front to help you to settle into your new environment. You’ll want to look for a company that has both the infrastructure and the expertise to help you to set up a new home, not just for your current site but for iterations to come. And if you’re struggling to handle it all, don’t worry. We’ll be more than happy to help! Still have questions? No problem! We’re always happy to talk, so be sure to get in touch.